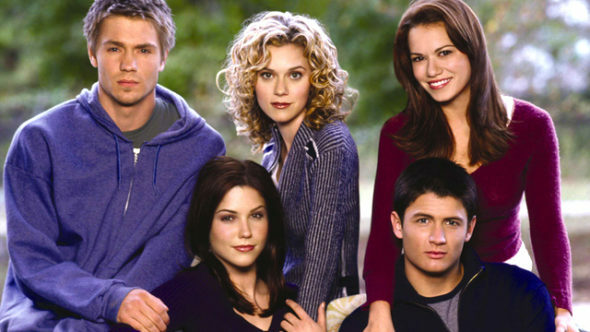 Are you a big One Tree Hill fan? Deadline reports several cast members from the WB/CW TV show are reuniting for a new Lifetime movie called The Christmas Contract. A teen drama, One Tree Hill ran on The WB/CW for nine seasons before ending in 2012. The cast includes Chad Michael Murray, James Lafferty, Hilarie Burton, Bethany Joy Galeotti, Paul Johansson, Sophia Bush, Barbara Alyn Woods, Lee Norris, Moira Kelly, Barry Corbin, Antwon Tanner, Craig Sheffer, and Danneel Harris. Lifetime’s upcoming film, The Christmas Contract, will reunite One Tree Hill stars Hilarie Burton, Robert Buckley, Danneel Ackles, and Antwon Tanner. Additionally, One Tree Hill guest star Tyler Hilton will make an appearance. The Christmas Contract is slated to debut on Lifetime later this year. What do you think? Did you watch One Tree Hill? Will you watch the new Lifetime movie? More about: Lifetime TV shows: canceled or renewed?, One Tree Hill, One Tree Hill: canceled or renewed?, The CW TV shows: canceled or renewed? I loved One Tree Hill. I would definitely watch a Lifetime Movie based on the series. Wish James Lafferty, Bethany Joy Lens and Sophia Bush would join the cast.